Association Francaise du Poney Connemara organised its 2011 National Show at Arnac-Pompadour on August 27th. The French National Stud offered a perfect venue for the show and the inspection on the following day. Approximately 100 ponies were judged at the show by Mr Padraic Heanue, Ireland and Ms Tuula Pyöriä, Finland. 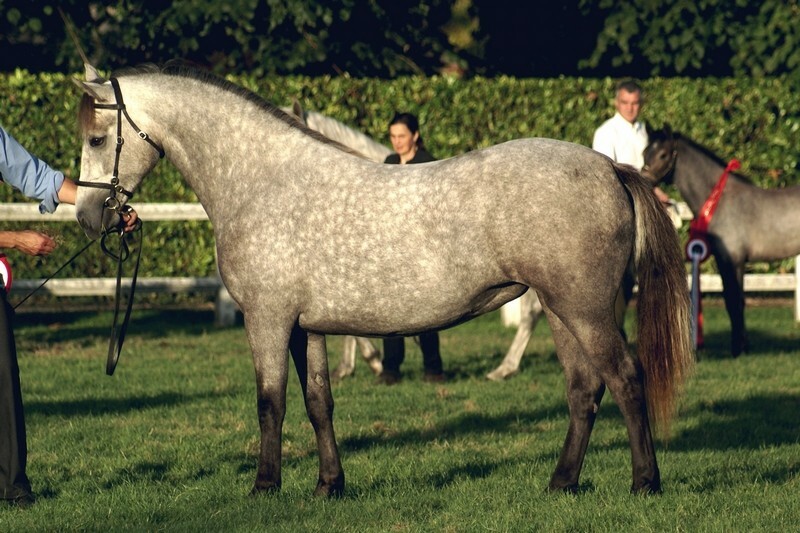 The Supreme Champion was Isabelle and Pascal Wandon’s 2 year old filly Vitamine Family (Ardmore Royal Oak – Poesie Melody – Imperator Melody), who was also the Junior Champion of the Show. Reserve Supreme Champion was bay mare Jolie Schueracher (Cheviot Midas – Shipton Corn Dolly – Atlantic Sentinel), bred and owned by Mrs Yvonne Held.